So, am I alive and well? Yes, I am! The 25,000+ customers who I serve day in and day out; the 2500+ customers who have deployed more than 16,000 of my Supervisor Engine 2T portfolio all think so. And guess what? Cisco is planning to invest hundreds of millions of dollars more in me over the next three years alone. That’s more than some of my competitors’ annual revenue.If you haven’t gotten it yet – I, the Cisco Catalyst 6500, am the evergreen switch for the campus backbone and plan to remain that way for many, many years to come! I can deliver the unique combination of rich network services, performance and scale needed to address emerging trends like BYOD and pervasive video in the enterprise campus backbone. Cisco, home of “innovation”, delivering more of what you have already got. Bah. Ask yourself, can your network be great and dynamic and modern with a ten year old switch ? Cisco Blog » Blog Archive » Are Overlays the Duct Tape of Networking? – Omar Sultan from Cisco making the point that overlay networks are not the same as tunnels in networking. As it turned out, reduced MTU caused by the MPLS header was the problem, but the usual suspect (a sloppily-configured firewall) was not to blame. Following (possibly outdated) best practices found on the Internet someone configured no ip unreachables on most router interfaces. 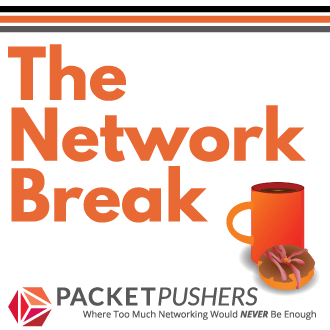 Fragmentation needed ICMP packets were considered to belong to the same bunch and thus the edge routers quietly dropped the packets they could not send into the MPLS core. Ever walked into a room full of guys running a network? They each have 18 terminals open, all to different routers and switches in their network. Why? Are they that unstable? Does staring at them help? Maybe they are like my Yellow Labrador and are more likely to misbehave while no one is looking. Enough! 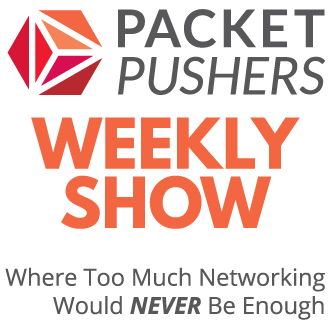 Networking HAS to change. It has to get simple; it has to get clean, elegant, easy and maybe, just maybe…fun? And more importantly, it’s got to work. We work on these devices all the time. Why not make them nice to use? Why not put in ease-of-use and “wouldn’t-that-be-nice” features? Why not make them reliable? Let’s make devices that are bulletproof, easy to use and elegant for everyone. Then again — maybe we don’t need it. Loopback Mountain: Walk on the Wild Side: VoIP over VPN over Internet – Great story about oding IP Telephony over Internet circuits. You would be surprised how many companies use this because the savings are so great. Service providers networks are over rated. Our experience has been this: VoIP performance over Internet VPNs is almost as good as over MPLS VPNs with dedicated service planes. There is definitely a small percentage of the time that voice quality suffers, but when we asked our business units if they would rather have better voice quality or pay substantially larger WAN bills, the choice was easy. I would go so far as to say that 99+% of the time, most people can’t distinguish between Internet VPN voice versus MPLS VPN voice. Assholes are Ruining Your Project. Donnie Berkholz (RedMonk). – Quick talk (video) about how 3 people caused Gentoo Linux Distro to have a bad rap in 2008. Especially liked the bit about identifying “assholes” – “do you repeatedly feel bad after talking to them ? “. Must remember that. If you’re migrating documentation into a wiki make sure you delete all copies of the old source. It’s one of my fundamental tenets of sysadminnery that there should never be a non-authoritative copy of data or documentation sitting around. Leave a non-authoritative copy of a procedure sitting out there and you will discover, a year from now, that someone has followed it and all of its out-of-date ways. Grrr. Not that I’m bitter. Bob Plankers talk more about how to make a wiki work for your documentation – lots of great tips in here. vCider innovation isn’t in the data plane tunneling but the orchestration of where TEPs land and presumably wrapping some policy in those TEPs. All of this has interesting implications to current partnerships. SDN in the Data Center has had so much focus due to the ever-growing earnings potential in the data center and the ability to avoid the hardware constraints presented in today’s silicon. I enjoyed going back and reading the posts and documentation from vCider…..